The dining table is the main stage of a holiday production, where family and friends gather to imbibe, feast, share stories and make memories. So whether you’re hosting two or 20, we know how important it is to have a table dressed for the occasion. For holiday parties, even your dream dining room will need some additional design details for extra personality and festive style. 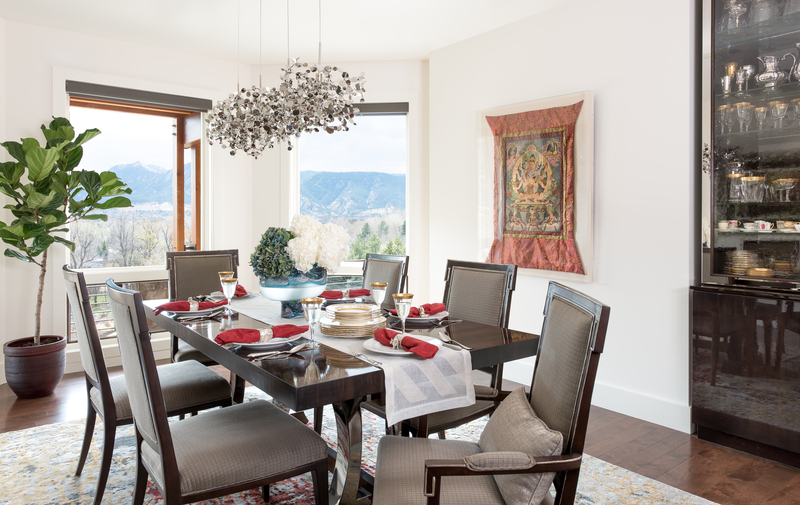 We broke the perfect holiday table down into three key design elements (flowers, tabletop decor, and the star of the show—delicious food), as well as our favorite places in Boulder to find each piece. And in case you aren’t on the party-planning committee this year, we’ve also provided a few local shops where you can find a hostess gift that wows. A beautiful bouquet never goes out of style. 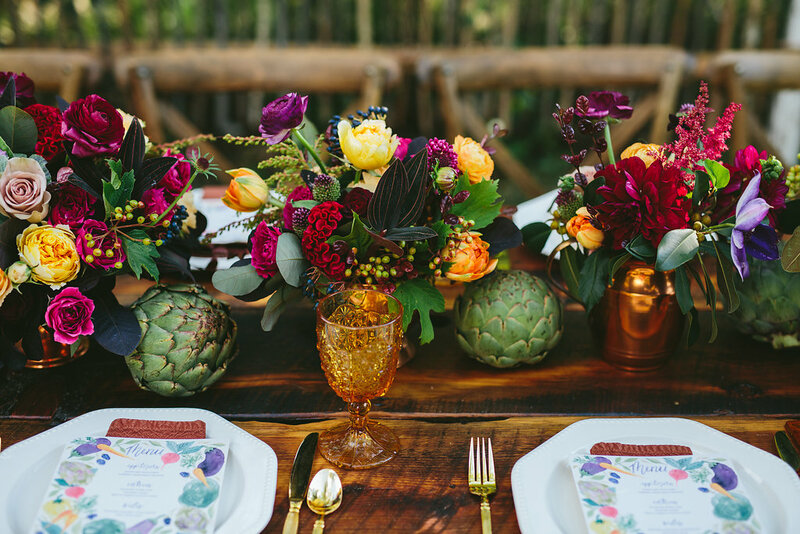 Flower arrangements are one of the easiest ways to instantly add life, earthiness and elegance to any table. Large centerpieces may get in the way of conversation and passing entrees during the holidays, so opt for a group of short, mini bouquets or a sprinkling of petals or festive garland instead. 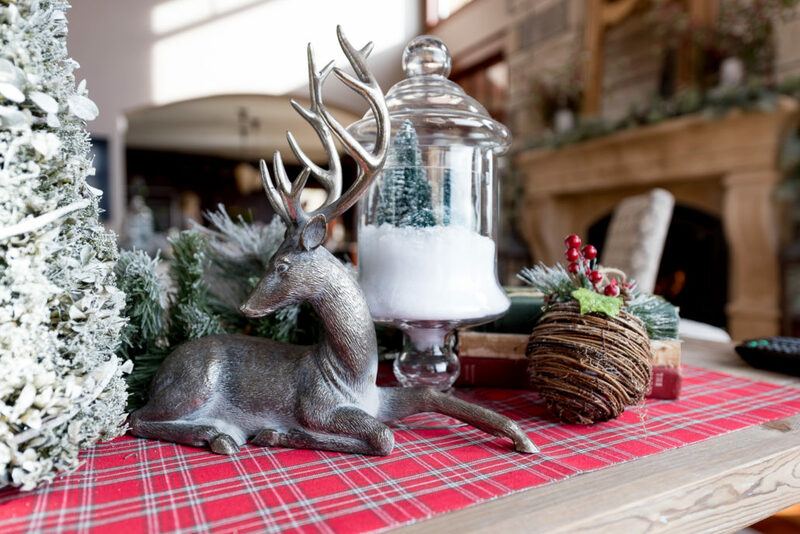 From tablecloth and runner to napkins and silverware, tabletop accessories allow you to customize your holiday spread to match your theme or inspiration. We suggest sticking to three colors—one neutral, one bold, one accent—and search for coordinating pieces in within that spectrum. Keep in mind that sometimes simple designs are the most stunning, especially to calm the chaos of a big crowd. — Cloth & Gold for those who want their Martha Stewart moment without the hassle or cost. This company offers a selection of rentable tablescapes, and they even do the clean up for you. While the main course will most likely be homemade, we suggest store-bought starters and sides to save time and stress. Luckily, Boulder is home to many culinary shops serving artisanal spreads that not only taste amazing, they also double as artistic centerpieces. 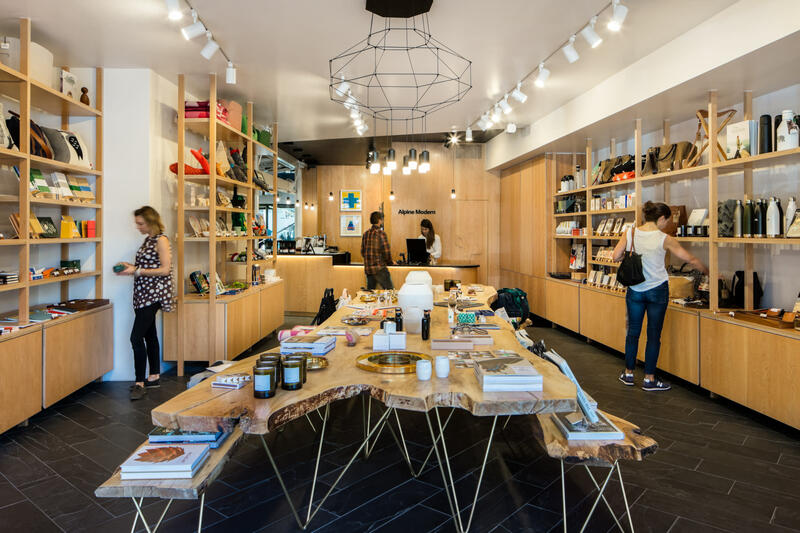 A bottle of wine is a great go-to dinner party gift, but if you’re on the hunt for something that will impress a design-savvy host, look no further than these local shops specializing in thoughtful gifts and accessories.